Earn up to 4,124 Points Points. Our Organic Hemp seed oil is unrefined, which means it is in the purest form that it can possibly be in. 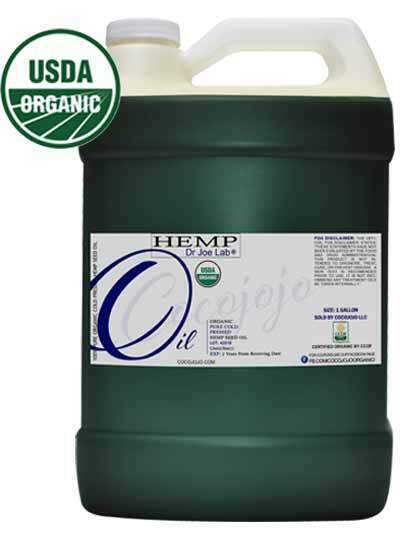 The main interest of hemp seeds and oil is the balanced content of essential omega – 3 and omega – 6 fatty acids. To find out more about the benefits of essential fatty acids and their importance in maintaining good health, see below. Skin: Hemp seed oil is great to use on the skin for a more beautiful complexion. It is easily absorbed, moisturizing without being greasy. Unlike many other oils, hemp seed nourishes dry skin without sticking to it. Thus it won’t clog pores as easily as other heavier oils. So if you’re looking for a good moisturizer that doesn’t leave a greasy residue, you’d do well to consider hemp seed oil. Hair: Hemp seed oil offers benefits to the hair as well. 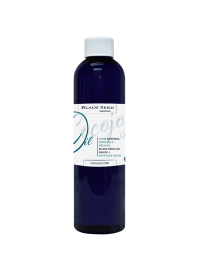 As such, there are many recipes for homemade shampoos, conditioners, and other hair products which call for the oil. Nails: Hemp oil makes great cuticle oil and can be used for manicures. It softens the cuticles along with providing it with omega 3 and 6. Hemp is one of the first plants to have been domesticated by man. 5000 years ago, the Chinese cultivate it both for the weaving of clothes and the manufacture of paper (thanks to its fibers), but also integrate it in their pharmacopoeia and their food. 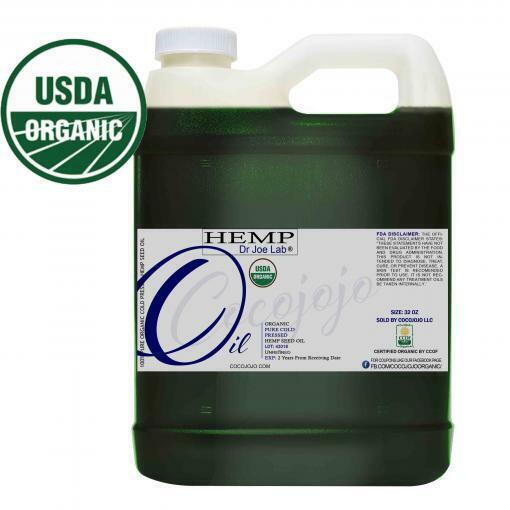 Hemp seed oil is fabricated from assortments of Cannabis sativa that don’t contain huge measures of tetrahydrocannabinol (THC), the psychoactive component exhibit in the cannabis plant. This assembling procedure commonly involves cleaning the seed to 99.99% cold pressing the oil. Like other substances that are high in fat, carrier oils have a limited shelf life. Meaning that eventually they will go bad. It’s important to store oils in their original air-tight containers in a cool, dark place, such as the pantry, to maximize shelf life. Disclaimer: Before purchasing please note that all information contained within Cocojojo store and this page are for reference purposes only and are not intended to substitute the advice given by a pharmacist, physician, or any other licensed health-care professional. Our products have not been evaluated by the FDA and are not intended to diagnose, treat, cure, or prevent any health condition or disease. All our products are for external use only. Unless your Medical Doctor allow you to use this product it should not be used by anyone who is pregnant or under the care of a medical practitioner. The information on this page is has been compiled from published sources and is provided only as a guide. Although every effort has been taken to ensure that information published on this page is correct and up to date, Cocojojo LLC cannot guarantee the accuracy of all information presented, and accepts no liability in respect of any omission or error. The customer should always satisfy themselves as to the ultimate suitability of a product for an intended application. Cocojojo LLC accepts no liability in the unlikely event of an adverse reaction occurring when using one of its products. All facts, details & recommendations on our page are provided for information purposes only and are not intended to diagnose, prescribe or replace the advice of professionals. Our products are not a medication, and we can only make recommendation for suitability of our products in certain conditions. Any recommendations accepted by a purchaser are accepted entirely at the purchasers risk. By purchasing our products you accept responsibility to check with a professional before using any products that may interfere with drugs or medical conditions. By purchasing our products you recognize and accept the fact that that some natural ingredients, essential oils in particular, may still cause sensitivity in susceptible individuals and that Cocojojo LLC will not be held responsible for such occurrences. We encourage those with sensitive skin to make a patch test on the skin for possible reactions. Cocojojo LLC accepts no responsibility for incorrect use of information or products.